Andrew J. Byrne was born in Dublin in 1830. In 1898 he decided to commence writing his memoirs, which he finished in 1909, two years before his death. Superficially there seems to be nothing unusual about Byrne’s life; he was born in Dublin and died in Dublin, and spent much of his life employed in the building trade. However, Andrew J. Byrne was a remarkable man who led a remarkable life. He travelled back and forth between Ireland and the United States no less than four times between 1849 and 1875, along the way amassing some nine years service in the U.S. army. He saw service in the 1850s at frontier locations in Texas, New Mexico and Arizona, spent time in the Dublin Artillery Militia, and returned to the United States in 1861 to fight for the Union in the Civil War. He served with the 65th New York Volunteer Infantry throughout the conflict, was twice wounded, and eventually reached the rank of First Lieutenant. 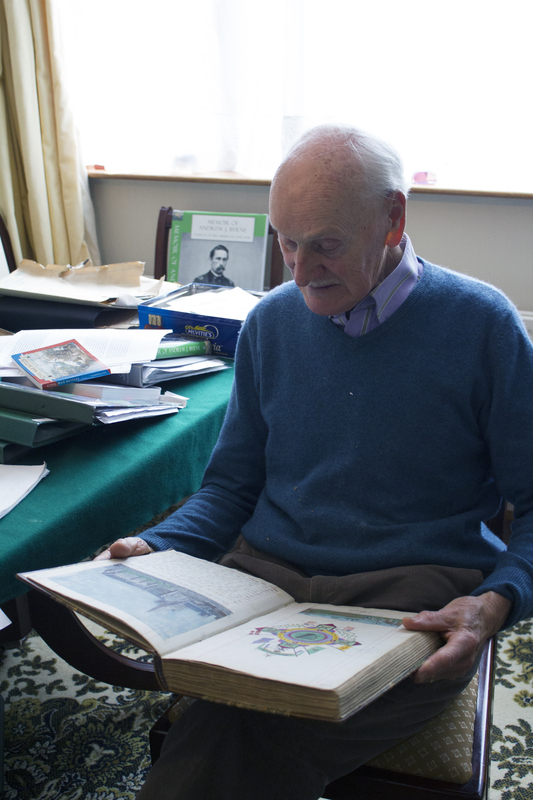 Andrew Byrne’s memoirs were published thanks to the efforts of his grandson, retired Irish army Colonel Seamus B. Condon. 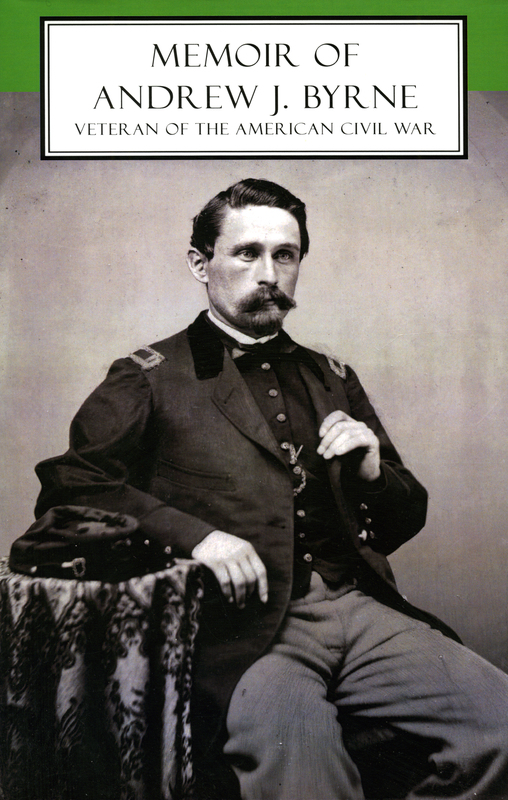 The manuscript and an image of Byrne in Civil War uniform were kept in the family, until in 2008 Condon succeeded in having them published. Andrew Byrne did not have the benefit of much formal education, and it takes some time to adapt to his writing style and lack of punctuation. However, this is more than compensated for by the content, and the editor Nicola Morris has rightly retained the integrity of Byrne’s original work. This includes a number of poems written by Byrne about his life during the period. Among the highlights of the book are the numerous coloured sketches that Andrew Byrne produced to accompany his recollections. Although some are based on images in contemporary newspapers, others have been created from memory. The first part of the book deals with Andrew Byrne’s pre Civil War experiences. He arrived in New Orleans in 1849, and finding it difficult to procure work, he embarked on his first experience in Uncle Sam’s army. He deserted and returned to Ireland in 1853, but came back to America in 1856 and re-enlisted in New York. He confessed about his previous desertion, and was pardoned on condition that he return to his original unit in the West. During this period Byrne served at locations such as Fort Martin Scott in Texas, Fort Union in New Mexico and Fort Buchanan in Arizona. Along the way he encountered Comanches and marched across vast tracts of the south-western United States. 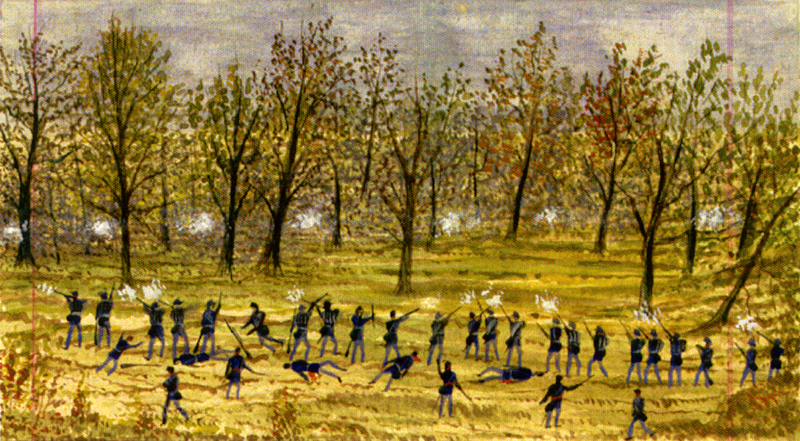 Byrne’s regiment was redeployed to the Shenandoah Valley to serve with Sheridan, and he gives a particularly interesting account of his and his unit’s participation at the Battle of Cedar Creek on 19th October 1864. By now a Second Lieutenant, Byrne was wounded for the second time during this fight, being hit in the left hip. 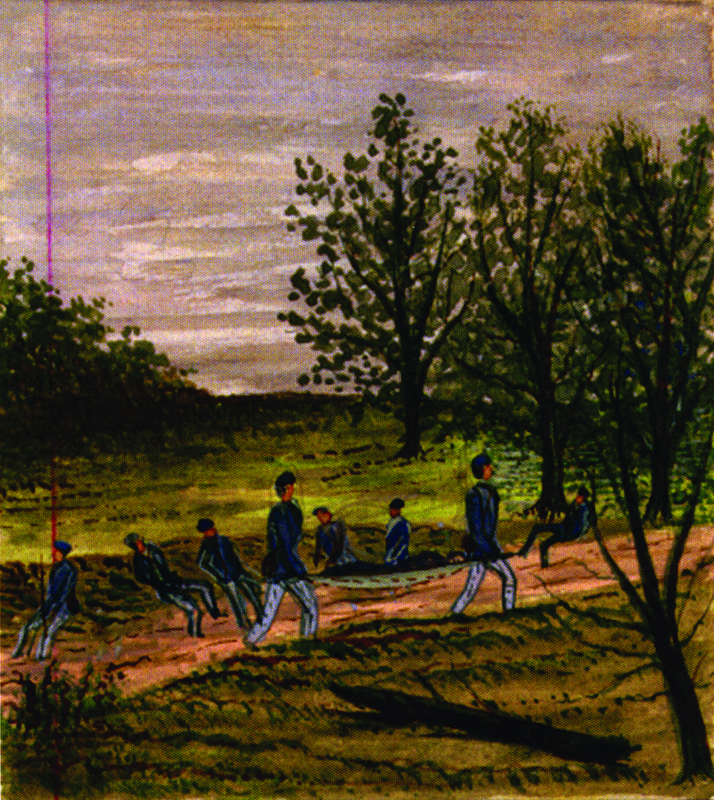 He rejoined the 65th for the final time in February 1865 as a First Lieutenant. He describes the anxious wait as the Union troops waited to assault the works at Petersburg, and the final days leading up to Appomattox when he and his comrades heard of Lee’s surrender. Andrew Byrne’s story did not end there, however. His first wife died in 1865, and Andrew once again returned to Ireland. He had by now became a Fenian and was one of a large number of ex Union officers in the movement. He was eventually arrested and forced to return to the United States, where he completed yet another stint in the military, serving as a non-commissioned officer in the 42nd Regiment U.S. Infantry from 1867 to 1869. He spent a number of years working in the building trade around New York and the mid-west, before eventually settling in Saratoga, New York. He met his second wife here and returned to Ireland with his new family for the final time in 1875. This memoir is an extremely important addition to the body of writing on the Irish experience of the American Civil War. More than this, it offers an insight into the general Irish experience of emigration to the United States in the 19th century. Byrne never served in a distinctly Irish unit, but it is clear from his memoirs that no matter where you were in the U.S. army, you were never far from and Irish soldier. At one juncture he even ran into an old classmate of his from Dublin while serving in American south-west! The impression one gets of Andrew Byrne in this book is of a highly intelligent, honest and conscientious man with a yearning for exploration and adventure. He did not see the Atlantic as a barrier never to be recrossed, and somewhat unusually made frequent trips between Ireland and his adopted home. After all his varied experiences it is perhaps of note that he eventually found the pull of Ireland too strong, and decided to live out his days in the city of his birth. This book is highly recommended as a fine personal account of one Irishman’s experience of America in the 1800s. It deserves as wide a circulation as possible. Byrne, Andrew J. (edited by Nicola Morris) 2008. Memoir of Andrew J. Byrne- Veteran of the American Civil War. Original Writing. 239pp. Available to buy from Original Writing. i just discovered your site. I am working on a book about the 65th New York (1st U.S. Chasseurs) and found your review of the Andrew Byrne memoirs. i see it is out of print but would love to get my hands on it. Any ideas of where it might be available? Thanks. I will drop you a direct message regarding this. Hi Damian. Another excellent post. Is Andrew Byrne’s book in the National Library in Dublin? My g-grandfather, from Cavan, fought in the Peninsula campaign also before he returned to Ireland. (And then returned again to the US) considering the difficulty of that cross Atlantic trip, I’m surprised that they made it at all after first leaving Ireland in the famine. It is as far as I am aware- you may have told me this before but what was your G-Grandfather’s name and unit? Hi Damian – we did talk about it before but it was quite a while ago when I first found your blog. My g-grandfather, Patrick Farrelly, from Cavan, was in the Regular Army, 2nd Infantry, Co. C. Sometimes called the “Sykes Infantry” after their commander, George Sykes. 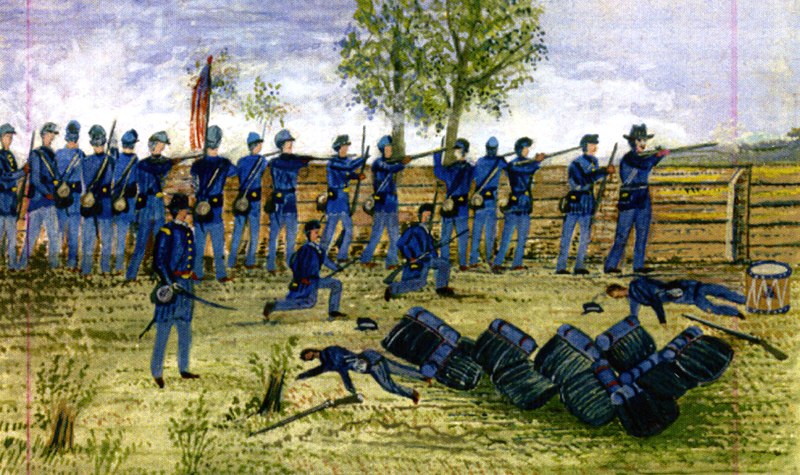 Patrick fought in 1st Bull Run, the Peninsula Campaign (Malvern Hill, Gaines Mill, et. ), Fredericksburg and Chancellorsville before his 5 years were up and he returned to Ireland – just before Gettysburg. His company was one of the first (he was stationed in Minnesota) called in to Washington at the start of the war to protect the capitol. I’m be in Dublin for a few days, beginning 1st of May, and would love to take a look at the Byrne book if possible.